Relentless. Skilled. Prepared. Tenacious. All of these words describe Jeff’s work on behalf of his clients. Jeff takes great pride in representing the rights and interests of individuals who have been injured as a result of the wrongful conduct of individuals and big corporations. 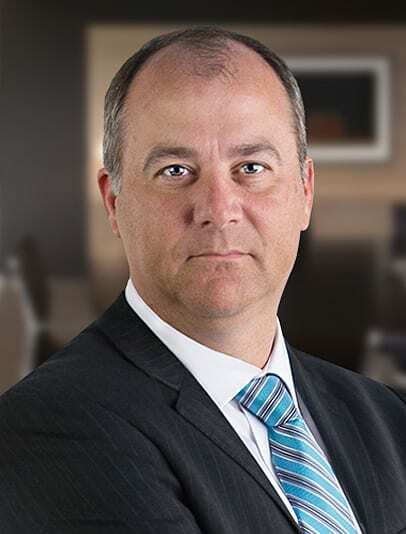 With a solid reputation for his litigation skills and ability to resolve complex legal problems, as well as for his honesty and integrity, Jeff is “AV” Preeminent Peer Review Rated by Martindale-Hubbell®, the highest recognition possible in the legal industry for professionalism and ethics. Away from the office, Jeff and his wife take great pleasure in raising their three children. Jeff and his family are members of the First United Methodist Church in Montgomery. Jeff is active in the Montgomery area and especially enjoys coaching youth sports. Member, Alabama State Bar Quality of Life, Health & Wellness Task Force (2016-2017). Member of the Alabama Association for Justice. Call Floyd Hunter for your Free Legal Consultation at 334-452-4000, or fill out the Free Consultation Form below.